Pack (and wear) your daypack like a pro. Like any cardiovascular activity, hiking can build muscle strength and endurance, lowers blood pressure, and helps maintain body weight (a 160-pound person can burn more than 400 calories per hour hiking). But who’s thinking about all that when surrounded by a beautiful forest or hiking up a majestic mountain? Whatever your reason—the cardiovascular benefits, the scenery, quality time with your family—hiking can be a highly pleasurable activity that costs very little and is good for you—physically and mentally. “Research shows that hiking has a positive impact on combating the symptoms of stress and anxiety,” according to Gregory A. Miller, Ph.D., president of the American Hiking Society. 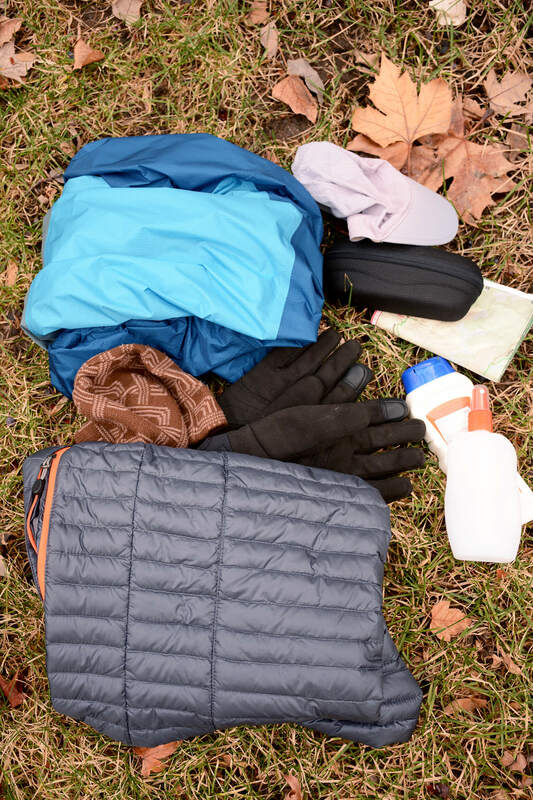 You may need nothing more than a water bottle for a short hike on a warm day, but if you head out for longer, you should pack appropriate clothing for the forecast, enough water and food, and basic supplies such as sunblock, mosquito repellent, and a trail map. But how to carry it all? Follow these tips for loading an organized and comfortable daypack, no matter how far you hike. Choose a daypack with the right capacity. Most hikers going out between late spring and early fall can fit everything they need in a daypack between 18 liters (1,098 cubic inches) and 24 liters (1,465 cubic inches). 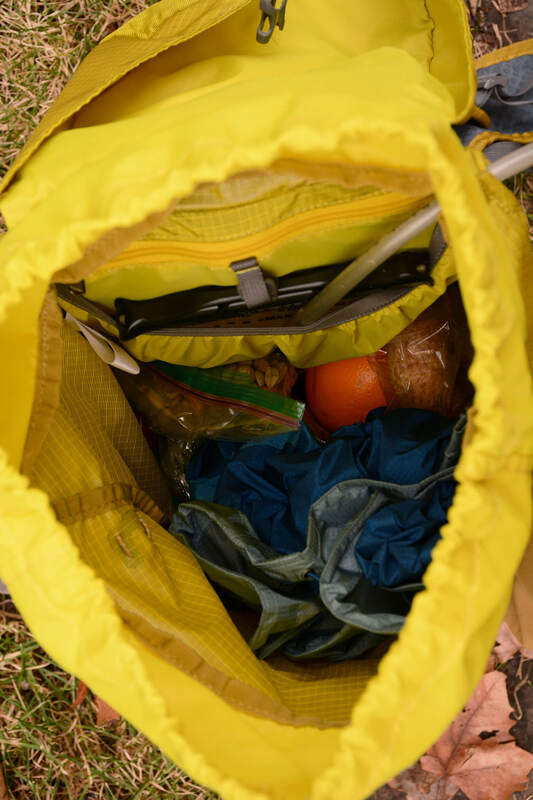 If you’re carrying stuff for others—like jackets and snacks for two children—go with a 24-liter daypack. Many hikers prefer a daypack with at least one or two separate top or front pockets for smaller items such as car keys, sunglasses, and a small camera, and mesh side pockets for items like a water bottle, insect repellent, or sunblock. Some packs even have zippered pockets on the hipbelt for snacks. 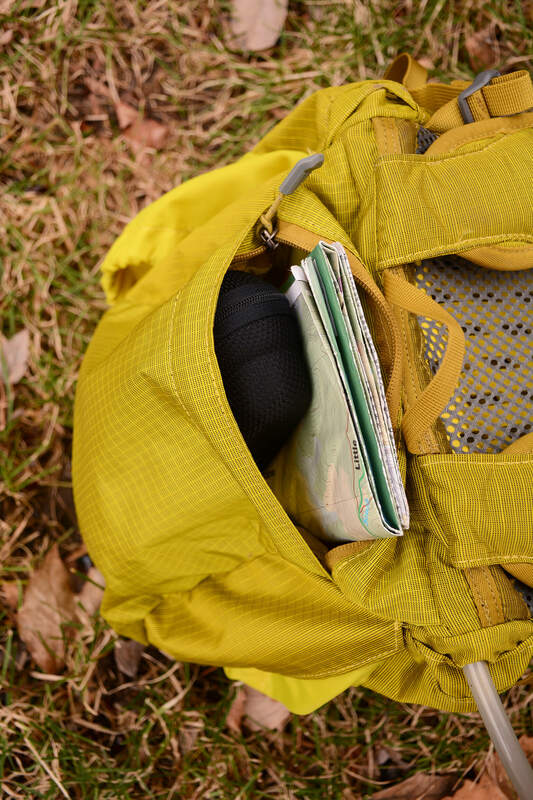 Tip: Find a daypack with side pockets you can easily reach into without taking off the pack. Extra clothing: Look at the forecast, bearing in mind that air temperature drops about 3.5° F (2° C) for every thousand feet of elevation—it’s cooler and windier as you climb uphill. Dress in layers that you can add or remove, and bring a rain jacket for wind or precipitation. Water: A good rule of thumb is to carry one liter per person for a half-day hike, two liters for several hours, and an extra liter on a hot day. Use a water bladder for constant access to water. Food: Don’t underestimate your appetite (or a child’s) on a hike of a half-day or longer. Bring snacks that provide carbohydrates and fat for energy, plus salty snacks to replenish sodium (chocolate, energy bars, salty nuts and crackers, cheese), and lunch food if needed (sandwich, durable fruit like an apple). Just remember to bring an extra bottle of water so you can wash your hands with soap before you eat. The compression straps that wrap around the sides of many daypacks have a purpose: To keep contents from shifting while you’re hiking, possibly throwing off your balance. Using them helps you distribute the weight so the pack carries more comfortably—but before loading the pack, loosen all compression straps to maximize volume. Your center of balance and the core of your body’s strength lies in the middle of your back, so you want most of a pack’s weight positioned there—having that weight several inches from your spine, or too high or low in the pack, can make you feel the pack is pulling you backward. When loading the pack, position the heaviest items (water, food, perhaps a guidebook) inside close to your spine and near the middle of your back. 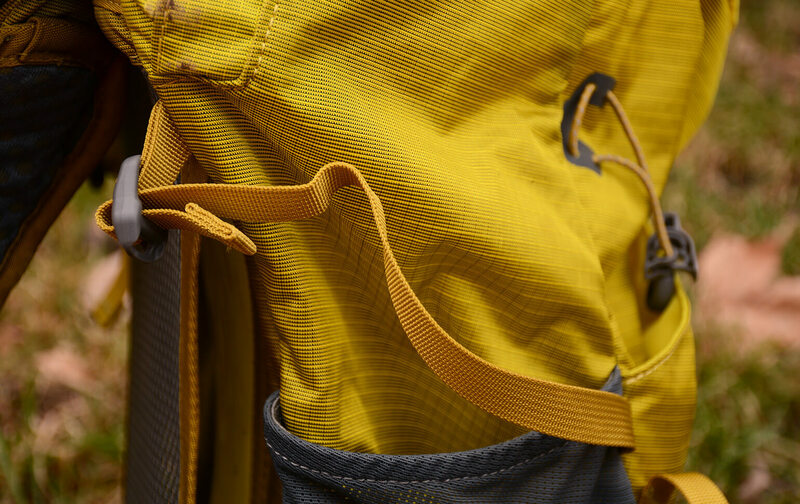 Tip: If a pack’s shoulder straps feel like they’re digging into your shoulders, try tightening or loosening them; if that doesn’t work, the problem may be that the pack’s weight isn’t distributed properly. Keep items you need handy—map, sunblock, mosquito repellent, sunglasses—in exterior pockets. Organize extra clothing inside to keep what you are most likely to need on top, like a jacket on a windy day. Lunch doesn’t have to be on top—you won’t need that until later. Use clothing to pad fragile contents, like a sandwich or crackers. Tip: A resealable plastic container such as a Ziploc® container will keep food from getting crushed. Once you have the daypack loaded, tighten the compression straps snugly (no need to over-tighten them). 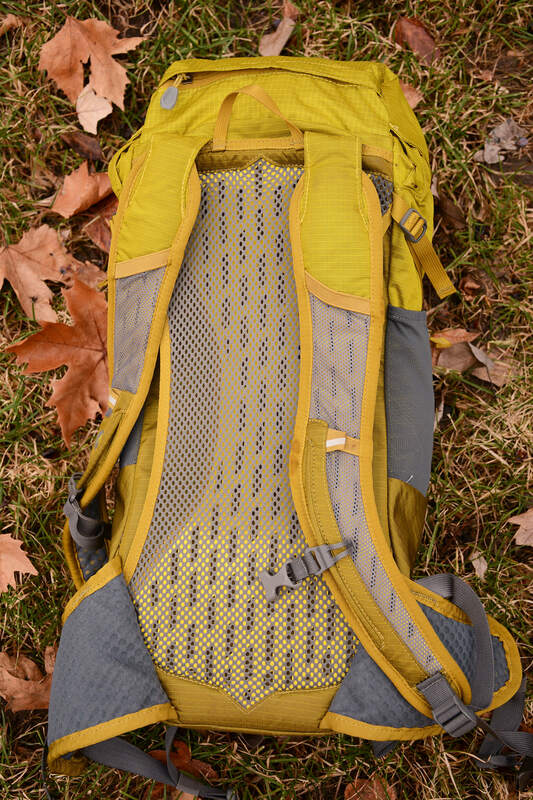 This stabilizes your pack by preventing contents from shifting and throwing off your balance on a difficult stretch. 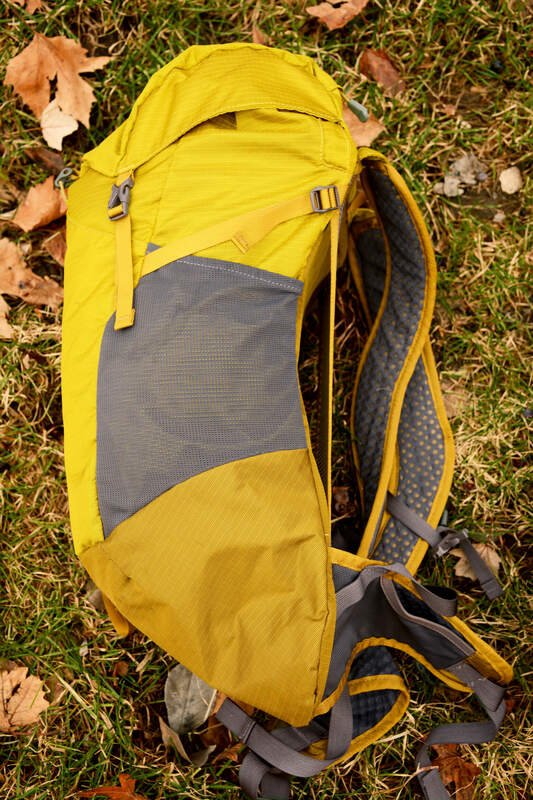 Most packs have two to four adjustable straps to fit it comfortably to your body. You may only have to do this the first time, although micro-adjustments on the trail can alleviate discomfort. Position the pack’s waist belt to rest on your hipbones, and then tighten the belt to comfortably snug. Buckle the chest strap and tighten it so the shoulder straps are not sliding outward off your shoulders or digging into your collarbone. Reach under your arms and pull the shoulder straps comfortably (but not overly) tight. If your pack has load-lifter straps (above your shoulders), tighten them to pull the upper part of the pack closer to your back and prevent it flopping around. 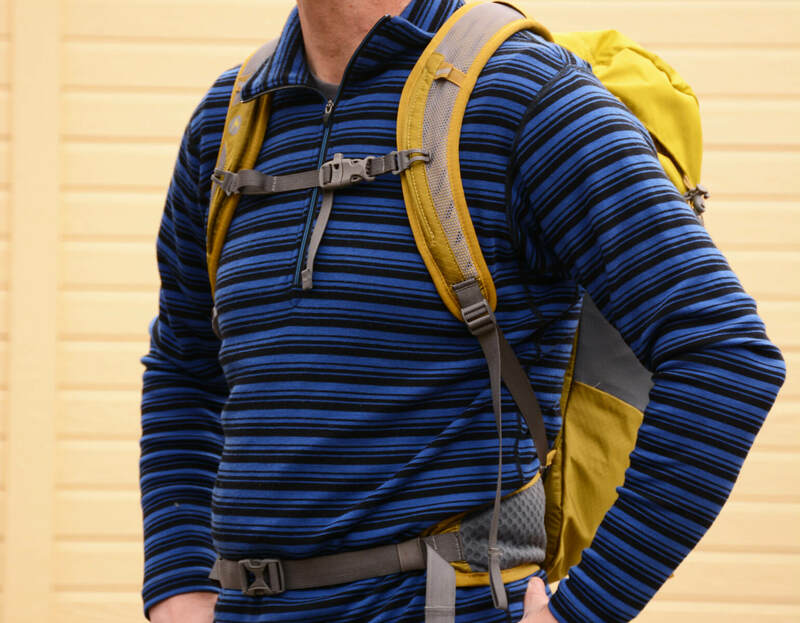 If your pack has stabilizer straps (where the waist belt attaches to the pack), tighten them to bring the pack’s bottom snugly against your hips. Tip: If needed, especially with a heavier pack, loosen shoulder straps slightly when going up steep hills, and tighten them going down.